This letter was written by 35 year-old Lieutenant Francis (“Frank”) M. Goodwin (1828-1864), the son of Daniel Goodwin (1795-1848) and Sarah Ann Page (1797-18xx). Frank was a planter and slaveholder in Warren County, Mississippi, before the war. He was married to Susan S. Dodge in May 1862 and enlisted in Company C [“Buckner’s Light Horse” of Warren County, MS] 28th Mississippi Cavalry on 25 February 1862. From this letter we learn that Lt. Frank Goodwin and Lt. Bailey were on the eve of leading Company C of the 28th Mississippi Cavalry with some 4,000 other cavalrymen on a raid into Holly Springs and points northward to threaten Grant’s army which had been withdrawn to the line of the Memphis and Charleston Railroad in Tennessee between December 23, 1862, and January 11, 1863. This is the 4th letter since I have had one from you. It is now evening and we are to commence our march at 8 o’clock in the morning. Owing to the inclemency of the weather has caused us to linger longer than we expected. When we return, I will write you about our trip without resting one moment should I have any writing material. Our camp will be moved on this side of the [Yalobusha] River some 8 or ten miles above Grenada before we return here. Susan, I would like to see you this evening but that is impossible, I know. Yet I can’t help making the wish. Could I have known that our stay would have been so long in this place, I would have had you with me. But I have thought we would have moved before this. The object of our march is to make a march in the direction of Holly Springs and likely into Tennessee and surprise the Yankees at the different places we may find them on our rout. We will not return short of ten days and will be traveling most all the time day and night. If we are successful, I will not care for the fatigue of the trip. My dear wife, I do love you. Yes, more than words can tell. I wish that I had you by me this evening to listen to the many kind words you would have to say. Yes, my wife, then you would tell me how happy you were to be with me and how much you loved me and then give me many, many sweet kisses. Oh, it would be such a pleasure to have my wife by me so I could hear all you would have to say to me in your happy way of expression. But my wife, we are apart — out of the sound of each other’s voices — cannot see each other to say howdy and good bye — only by the use of pen and paper. When can we communicate verbally I would like to know. Just now the hour appears quite distant. Yes, it seems as if ages will pass before we meet again. Does it appear so to you, my wife? I am alone in the company. [Capt. 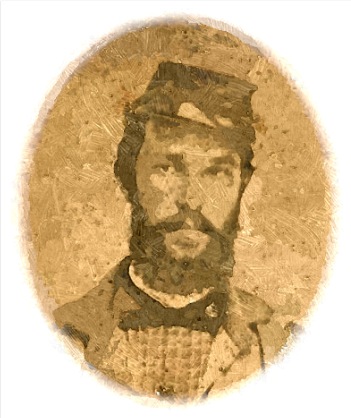 Colin Beverly] Buckner, ¹ [2d Lieut. T. S.] Arrison & [1st Lieut. W. S.] Bailey are in Grenada. Neither Buckner or Arrison will go with us as both are complaining. Not much if anything is the matter with either of them but I suppose this is the safest place. Mrs. Bailey came up 2 days since and I think Lieut. Bailey will hate very much to leave on this trip. I will start at 8 in the morning if none other officers are here for I do really want to go and see how our men will stand fire. I hope we may do something on this trip to redeem ourselves in the estimation of people. We will leave here with about 4,000 Cavalry is the calculation. ¹ Capt. Colin Beverly Buckner (1823-1887) was a druggist in Vicksburg, Mississippi, before the war. He was married to Laura Battle Ragan (1832-1902). This entry was posted on Thursday, September 25th, 2014 at 1:19 am	and posted in Uncategorized. You can follow any responses to this entry through the RSS 2.0 feed.